Manappuram Finance Ltd, Reliance Infrastructure Ltd, Blue Star Ltd, Bajaj Holdings & Investment Ltd are among the other stocks to see a surge in volumes on NSE today, 07 February 2019. 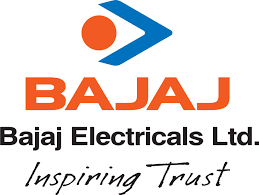 Bajaj Electricals Ltd clocked volume of 11.25 lakh shares by 14:19 IST on NSE, a 8.07 times surge over two-week average daily volume of 1.39 lakh shares. The stock gained 8.49% to Rs.517.05. Volumes stood at 61399 shares in the last session. Manappuram Finance Ltd saw volume of 208.48 lakh shares by 14:19 IST on NSE, a 7.8 fold spurt over two-week average daily volume of 26.72 lakh shares. The stock increased 8.36% to Rs.105.00. Volumes stood at 53.84 lakh shares in the last session. Reliance Infrastructure Ltd registered volume of 1157.96 lakh shares by 14:19 IST on NSE, a 7.46 fold spurt over two-week average daily volume of 155.31 lakh shares. The stock slipped 23.75% to Rs.117.65. Volumes stood at 877 lakh shares in the last session. Blue Star Ltd recorded volume of 4.08 lakh shares by 14:19 IST on NSE, a 6.22 times surge over two-week average daily volume of 65646 shares. The stock gained 1.23% to Rs.589.00. Volumes stood at 51085 shares in the last session. Bajaj Holdings & Investment Ltd witnessed volume of 5.41 lakh shares by 14:19 IST on NSE, a 5.86 times surge over two-week average daily volume of 92390 shares. The stock increased 4.87% to Rs.3,139.95. Volumes stood at 86499 shares in the last session.